Why is it important to have a Holiday Policy and Procedure? When you’re running a small business you need to have a clear idea of exactly what employees are available and when so it’s vital that you have a clear process in place that details how an employee is to request holiday and, for example, how much notice they need to give you for a holiday of over a week. If you’re running a business that relies heavily on seasonal trade, for example, then there may be some months that you simply can’t afford to not be running at full capacity. 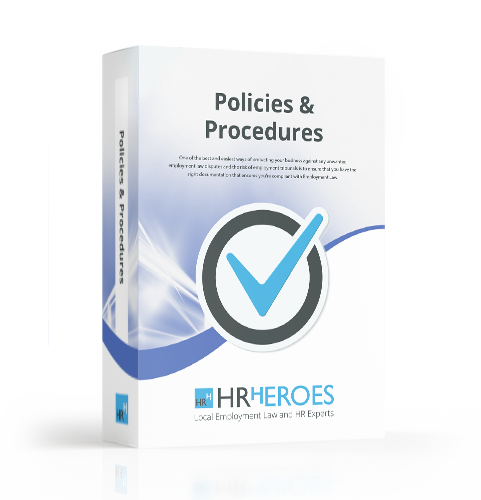 Our Holiday Policy and Procedure is simple to follow and will give your employees clear guidelines as to what to do when looking to take some annual leave and will detail to your managers their responsibility in the process, what they can allow and what they are unable to.